Asus Zenfone 5 is latest and hot release this year. 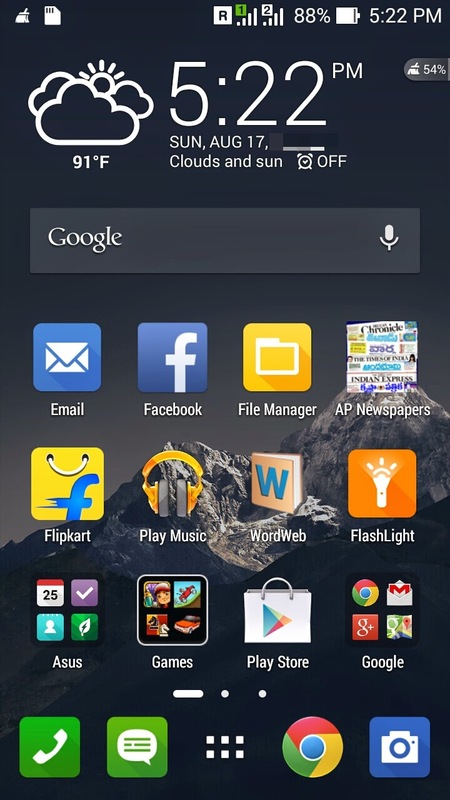 It has a wide variety of features with android version 4.3 (Jelly Bean) and upgradable to 4.4 (KitKat) version. I've tested with many applications along with different games and found performance is pretty decent. So start reading review of this phone. This is my 30 days of experience with the phone about different pros and cons. Screen look is superb with capacitive 5 inch IPS Display and HD (1280x720 pixels) screen resolution and 294 PPI (Pixels per Inch). It is using Asus TruVivid Technology. And one interesting thing is Gorilla Glass 3, protects from scratches. Brightness is good and at satisfied level. 16M colors. You can drag and drop all apps on the home screen. You can also make apps as different groups. See the side image Asus, Google icons. It would be good if it supports FULL HD display (1920x1080 pixels). But at this price it is acceptable. Conclusion: It is not recommended if you want higher screen resolution or size. It has very rich set of hardware specifications, Processor giving unbeatable performance with Hyper Threading Technology. RAM: 2GB (Both 8GB and 16GB versions have same 2 GB RAM). EXPANDABLE STORAGE: up to 64GB (MicroSD). The camera quality is pretty good with tons of options. Front Camera: 2 Mega Pixel. Time Rewind -Multiple shots in 2 seconds. 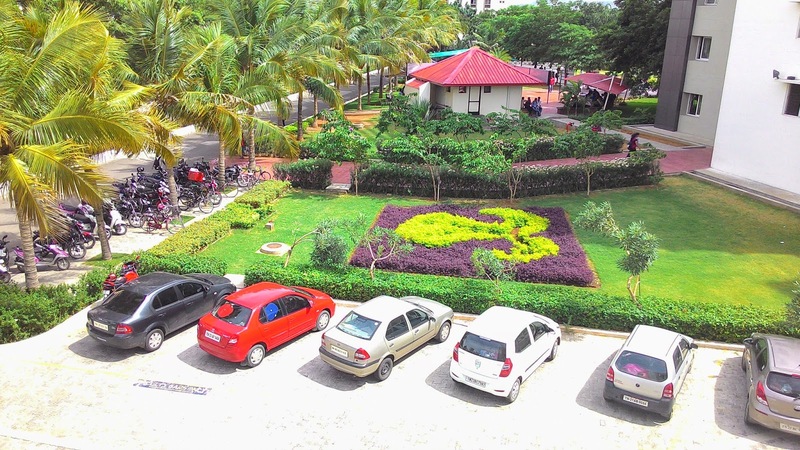 HDR - High Definition Images with good brightness. Night - The power of flash works here. Low Light - Excellent picture quality in Low light mode. 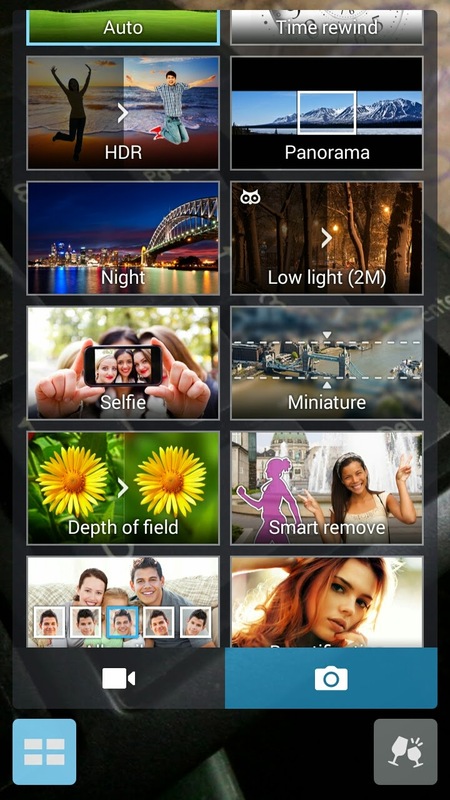 Selfie - Take your own pictures from Rear camera. Depth of Field - Blurs the back ground and highlight object. Smart Remove - remove background persons. All smiles - Finds multiple faces. Beautification - Beautify your image. GIF Animation - Can capture GIF images. It has many settings for photo capturing like White Balance, ISO from 50 to 800, Exposure value from -2 to +2, Camera Resolution 3 4 6 and 8 Megapixel Setting, Anti Shake Enhancement, Image Quality Settings, Self Timer, Burst, Focus Mode, Face Detection. It supports FULL HD (1920x1080P) video recording with white balance, Exposure value, Video quality (TV, HD, 2M and FULL HD) and video stabilization. Other features are also interesting like Smart Brightness, Guidelines, Review Duration Settings, Shutter Animation, Camera sound on/off, Location Services, Anti Flicker (50Hz/60Hz), Power Saving mode and Save to MIcro SD card options. It has many more other features, so that I said it has tons of options in settings, more than like a point and shoot camera. 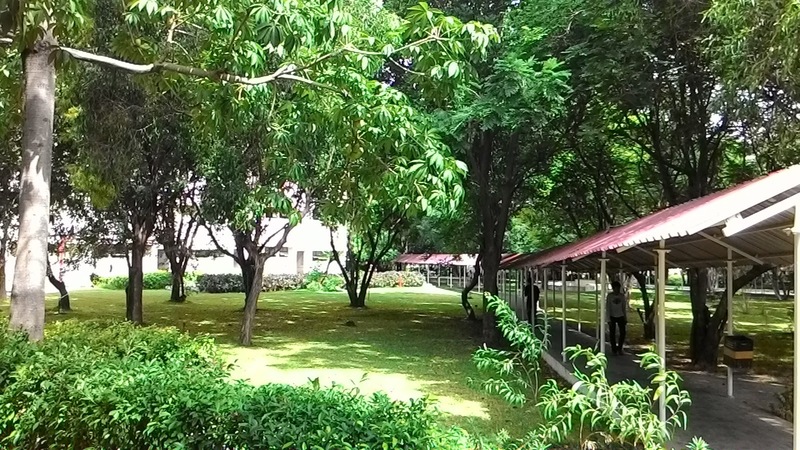 Sample pictures taken from this mobile in HDR Mode. Conclusion: It is definitely the best choice. You can compare this camera with higher priced mobiles. Asus custom user interface called ZENUI gives you a high range of satisfaction. You almost addict to this mobile if you are good social and an internet user, with this multitasking user interface. Connectivity : It supports all most all wireless technologies like GPRS, EDGE, Wi-Fi, GPS, Bluetooth, WiFi Direct, FM, Meeracast, Mobile Data Connect (2G or 3G) and USB Connectivity. Note: Only one SIM can connect to 3G at a time and other in 2G mode. You can switch 2G and 3G between those two sims. 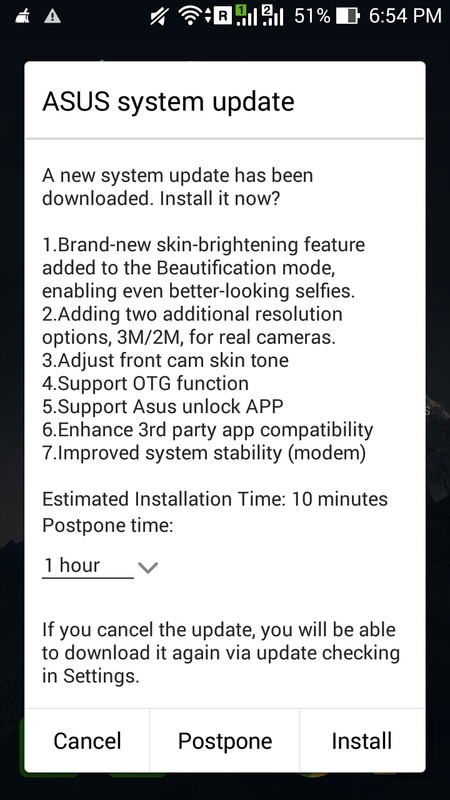 Asus Zenfone 5 is now supporting OTG Connectivity from recent updates. I connected 16 GB pendrive, 1TB External Hard Disk(External power is required, my transcend drive already have extra cable attached to it), Mouse and Keyborad. Everything working fine. Conclusion: Overall, it is an excellent buy. It has OTG support also, so it is unbeatable in the complete connectivity. It can play all types of resolutions up to FULL HD. It is excellent in playing of videos till FULL HD (1920x1080) Pixels. I tried in VLC and MX players. The audio quality is pretty decent. But Loud Speaker is not so loud, it is enough for noise less room. If you are a headset lover to hear the music, it would be a great festival to you. It has decent call quality and excellent audio recording facility. So don't worry about the audio system. Keep aside all your fears. Conclusion: Loudspeaker volume should be higher, If you don't want a loud speaker much, proceed blindly. It has 2110 mAH Lithium non removable battery. I've heard many complaints on battery. But I am getting 7-8 hours of continuous Wi-Fi usage with a single charge. Based on the game types it is giving 3 to 6 hours at a stretch. One complete day for just Normal calls and music for few hours. Battery is draining faster in 3G mode. But finally it has pretty decent battery life in this price range. 3. Above Average battery life. 7. Dual SIM is working nicely by setting one default SIM for calls. 8. Video playing is nice till FULL HD. 9. No lags found till now. 10. Excellent Processing power with 2GB RAM. 12. Frequent automatic update of device software. 13. Builtin call recording option. 14. Builtin power saving modes. 1. Loud Speaker should be improved. 2. Battery life is above average/average. 3. Doubt in ASUS Service Centers and Servicing. 4. No specific quality accessories for the device like Flip Cover and Bluetooth Headset, etc.. Overall ASUS ZENFONE 5 is the best buy. Please share this post if you like.